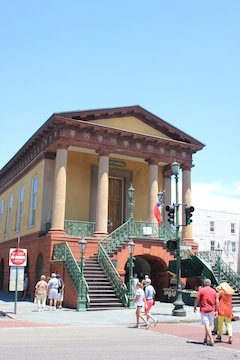 Take a horse-drawn carriage ride with one of the carriage outfitters like Carolina Polo & Carriage Tours. Cobblestone and brick paved streets are everywhere. date back to the 1800s (and some even earlier). 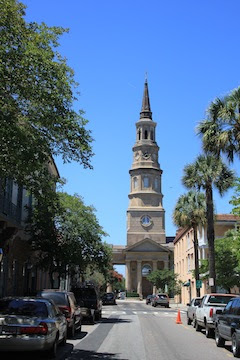 Also known as the Holy City, Charleston, doesn't want for churches. Belgian Gelato has this killer truck (and some great gelato). 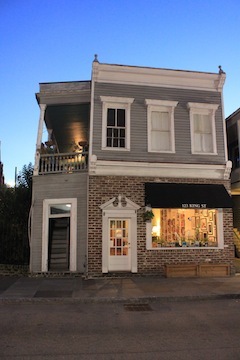 A crooked, but charming, little house and sundries shop. 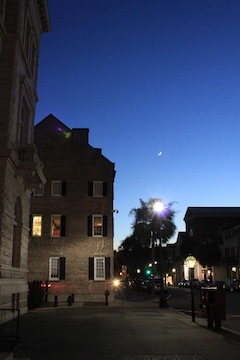 As dusk fell, the crescent moon and palms looked like the state flag. 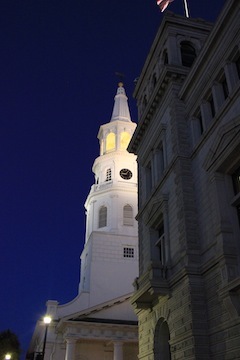 Lit like this, the church becomes a beacon downtown. 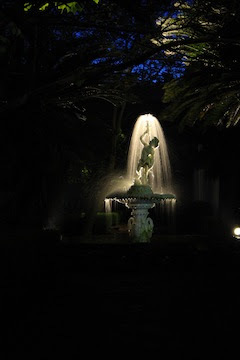 shining and brilliant in the garden's dark.